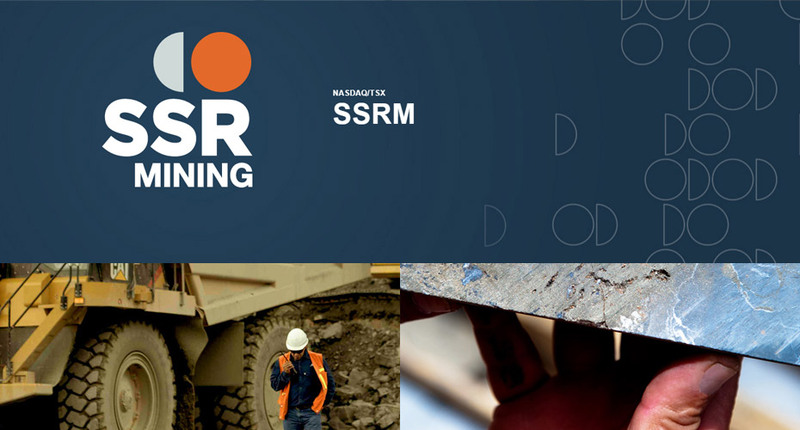 SSR Mining is committed to delivering excellence through the contributions of our dedicated employees. With an industry-leading pipeline of projects, strong financial positioning, and talented employees, we aim to continue building on our strong foundation - we have high expectations for the future! If you're ready to make a difference by helping us build our future, we invite you to discover more about who we are. Successful ownership requires extraordinary commitment and energy that naturally instills a sense of pride. SSR Mining is my company, it is our company. Its success is my success. We all take initiatives and do the things an owner would do even if it is not in our job description. The bar is high and we hold ourselves individually accountable for our actions. SSR Mining's reputation is paramount and we act with integrity to protect it at all times. Because SSR Mining is my company, I care deeply for its people and how we are viewed by shareholders and our communities. Electrical Supervisor - Marigold, Valmy NV, USA Hot! Technical Services Superintendent - Marigold Mine, Valmy NV, USA Hot! Senior Assayer, Laonil Lake, Canada Hot! Manager, Human Resources, Camp and Administration, Laonil Lake, Canada Hot! Long Hole Driller - Underground, Laonil Lake, Canada Hot! Manager, Environment, Safety & Security, Laonil Lake, Canada Hot! Underground Serviceman / Lubeman, Laonil Lake, Canada Hot! Mill Loader Operator, Laonil Lake, Canada Hot! Director, Mine Planning, Vancouver BC, Canada Hot! Administrative Assistant, Valmy NV, USA Hot! Process Mechanic, Valmy NV, USA Hot! Maintenance General Foreman - Execution, Valmy NV, USA Hot! Superintendent, Supply Chain Management, Laonil Lake, Canada Hot! Underground Supervisor, Laonil Lake, Canada Hot! Equipment Maintenance Planner, Laonil Lake, Canada Hot! Blaster, Valmy NV, USA Hot! Information Technology Technician, Laonil Lake, Canada Hot! Temporary Laboratory Technician, Laonil Lake, Canada Hot! Temporary Water Treatment Plant Operator, Laonil Lake, Canada Hot! Mill Grinding Operator, Laonil Lake, Canada Hot! Labourer (Mill Maintenance), Laonil Lake, Canada Hot! Network Specialist, Valmy NV, USA Hot! Mine Technician, Laonil Lake, Canada Hot! Mine Planning Engineer / Mine Planner, Laonil Lake, Canada Hot! Mill General Foreman, Laonil Lake, Canada Hot! Advisor, Human Resources, Saskatchewan, Canada Hot! Mobile Maintenance Electrician - Marigold Mine, Valmy NV, USA Hot! Chief Assayer, Laonil Lake, Canada Hot! Supply Chain Manager - Marigold Mine, Valmy NV, USA Hot! Mill Lead Hand, Laonil Lake, Canada Hot! Shovel and Drill Mechanic - Marigold Mine, Valmy NV, USA Hot! Manager, Finance, Laonil Lake, Canada Hot! Underground Grader Operator, Laonil Lake, Canada Hot! Underground Construction, Laonil Lake, Canada Hot!